So there was a lot of people asking me to post more of Bobi the Dog. 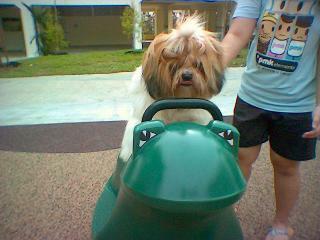 Here is another one where he plays on the frog toy. Emm... He seems a bit nervous on this one though.